See the highly desired Kent model in spotless condition! Tall ceilings and an open floorplan make this the perfect forever home for you. New roof in 2018, AC serviced yearly, flooring like new. Enjoy the open view from the 230 sqft cooled/heated Florida room (not part of the 1572 heated sqft). Located about 300 feet from the rear gate on Hancock Rd, this perfectly placed home gives you the safety and amenities you want with the privacy you need. 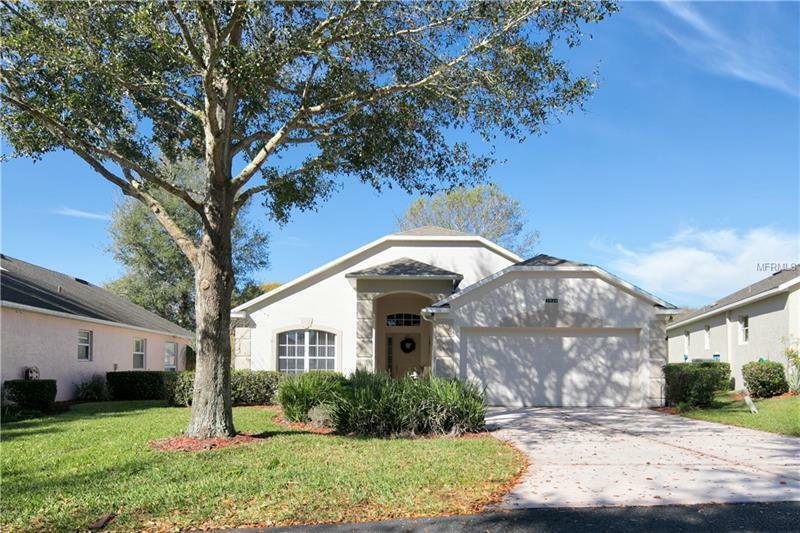 This flawless home is part of one of the most desired 55+ neighborhoods in Florida featuring 2 large clubhouses with gyms, pools, tennis courts, steam rooms, saunas, and beautiful views throughout the neighborhood. The HOA includes cable, internet, landscaping, fresh paint of the exterior every 5 years, gate-guards, and more. Absolutely no known defects on the house and a Home Warranty by American Home Shield will be included covering the plumbing, electrical, AC, and more. Amenities Additional Fees: Exterior painted every 5 years.